The memory of Walt Whitman lives on in the 21st century through various venues: annual celebrations, living history actors, academic journals, sculptures in his likeness, and more. 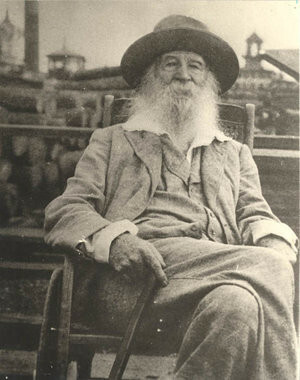 This exhibition, in conjunction with the 200th anniversary of Walt Whitman's birth, will examine the events, publications, artworks, and other forms of media through which the memory of the Good Gray Poet is immortalized - many of which take place right here in Camden. The exhibit will be on display during the library's open hours, and will remain in the lobby cases until July. Click here for more information.